There have been many instances where I’ve fantasized about clearing the lineup, but in none of those fantasies did I ever imagine I’d be a breaching killer whale or a shark. Whenever you can have fun, doing something fun, to have more fun – you’re winning at life. 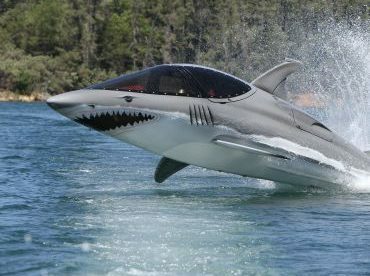 The Seabreacher™ is an underwater mashup of a Jetski®, an F-15 fighter jet and a mini submarine created by Innespace Productions. Bitness first wrote about these in 2007 (Down Periscope) and they seem to have come along in their design, differentiating themselves from other mini submarines, ones designed to dive deeper and typically launched from a yacht.